The art of metalwork in Bali dates back to the Bronze Age and is believed to have been introduced from southern China and the countries of Southeast Asia. The most famous piece of evidence in Bali is a 5th century bronze drum, known as the ‘Moon of Pejeng’, which rests, well preserved, in a temple in the village of Pejeng. When the Majapahit Empire crumbled at the end of 15th century, Bali became a sanctuary for Hindus forced out of Java. Among them were Javanese noblemen, wisemen and craftsmen, including kris makers, who spread their skills and influenced the Balinese culture. For hundreds of years, metal, and those who are skilled in its forging, has been considered magical by the Balinese, and this led to the origin of the tightly-knit clan of smiths, the pande. To maintain their prestigious rank, the smiths kept their techniques very close at hand, only passing their intricate skills and trade secrets down through generations of their own families, while also ensuring that marriage could take place only within the clan. The pande also have significant political power within their village, and even today, this clan is still fiercely proud. Traditionally, these Balinese smiths created ceremonial objects for the royal courts of Klungkung and Gianyar, and noble houses of Sukawati and Ubud — elaborate kris handles, betel nut bowls, vessels for holy water, beautiful repoussé silver bowls, platters and other implements for temple offerings. The work of the master smiths was essential for the purpose of religious ceremonies and celebrations, but they also had to meet the court aristocrats’ demands for high quality ornate jewellery. The earliest silver jewellery was copied from traditional gold jewellery. However, it wasn’t long before the gold-and-silversmiths were developing new concepts; deftly adapting their craftsmanship to meet the demands of international collectors and admirers who recognised the aesthetic qualities of the Balinese eye and the subtle skills of their hands. This has enabled the Balinese smiths to effortlessly retain their graceful arts heritage and pass on their spirit of dedication, devotion and elegance. 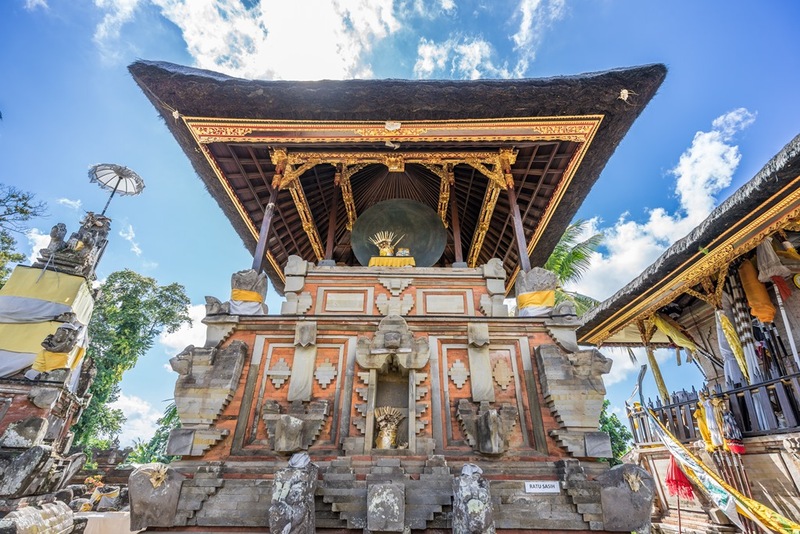 Some villages in Bali are known as centres of precious metal work and one of them is Celuk, 12 kilometres south of Ubud, which boasts three kilometres of main road and backstreets full of silver workshops and outlets. These home workshops are a distinctive feature of the village, where each day the banging of hammers and rasps of chisels and files echo from almost every house. 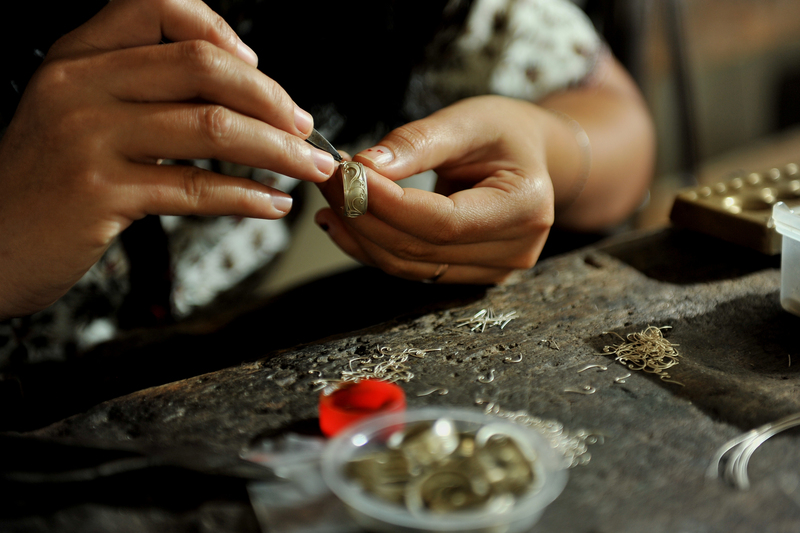 Using the most basic of tools, these Balinese silversmiths handcraft their jewellery from silver that is mined in other parts of Indonesia, brought to Bali, and then combined with small amounts of copper to form sterling silver. Balinese work is nearly always handmade. Each component is created from sterling silver sheets, which are cut, shaped, soldered, filed, finished and fabricated into intricate designs, enhanced by a technique called granulation, where small pellets and tiny coiled silver wires and are heated until soft enough to adhere to the piece, in order to form a pattern or decorative feature. This is considered to be a very skilled technique as the heat must be perfectly controlled to solder the delicate wire or silver pellets to the underlying silver without damaging it. These miniature works of art are also set with a wide variety of precious and semi-precious gemstones. Styles are distinctive, often highly ornate with fine filigree work, and constantly imitated. 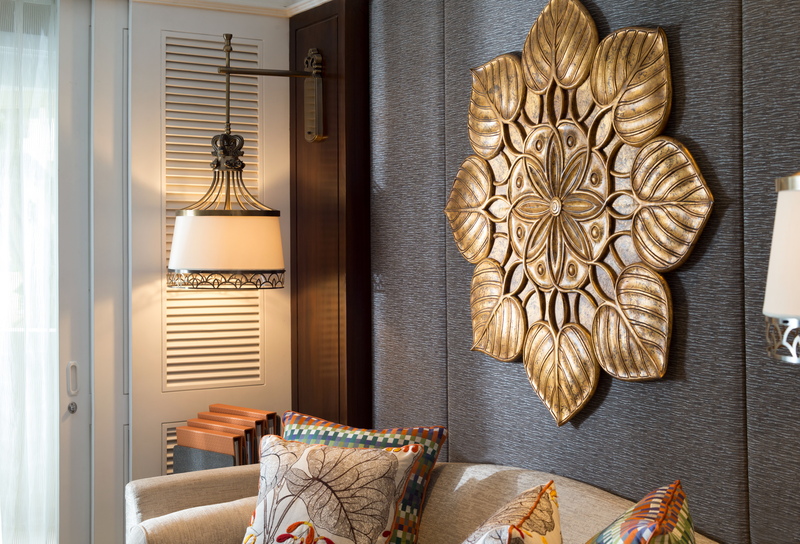 InterContinental Bali Resort is proud to support Bali’s artisan and cultural heritage by showcasing the work of these Balinese silversmiths within the structure of the beautiful pendant lamps in the Resort’s recently renovated guestrooms. The design of these lamps is inspired by the elaborate terracotta crown finials of traditional Balinese thatched roofs.